Rara mutton or rara ghosht. 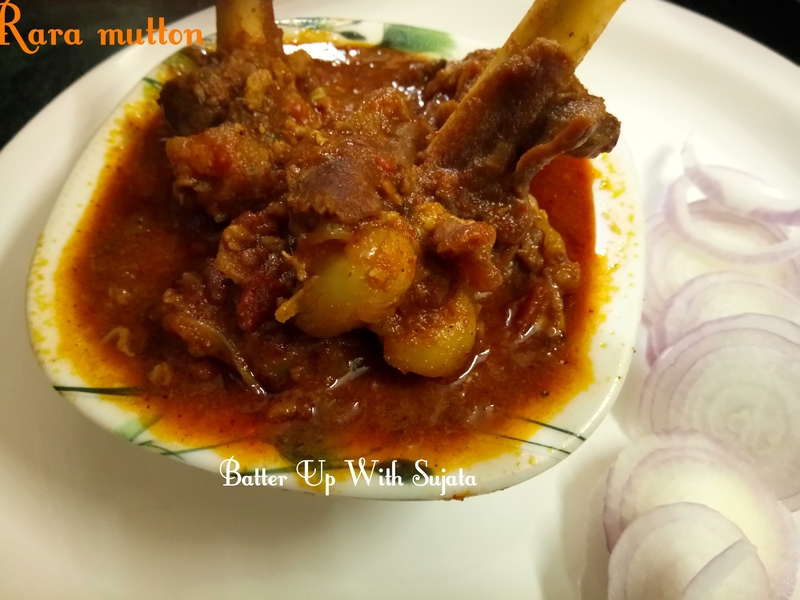 A very flavourful mutton dish. Made of mutton pieces, minced mutton or keema and whole spices. Flavour of dry roasted powdered spices makes the dish superbly delicious. After reading Vir Sanghvi’s article in Hindustan Times Brunch I was tempted to try it. And very happy with the taste. Browsed for the recipe. There are different varieties. According to Vir Sanghvi it is a fusion dish so I didn’t follow any particular recipe. I have some roasted ground spices which we call ‘bhaja moshla’ in Bengali. And its made my cooking easy. Now read what Vir Sanghvi has written about the recipe. Recipe is very simple. You have to use only whole spices, onion, garlic, ginger, and some regular spices which we use in our curry. Heat a pan and add 1 tablespoon cumin powder, 1 tablespoon coriander powder, 4 cardamom, 1 inch piece cinnamon, 4 cloves and 2 strings of mace. Dry roast on low flame. Spices should’nt be burnt. Stir continuously. Roast until colour of the spices slightly changed and becomes fragrance. Let it cool down. Grate the nutmeg and keep aside. 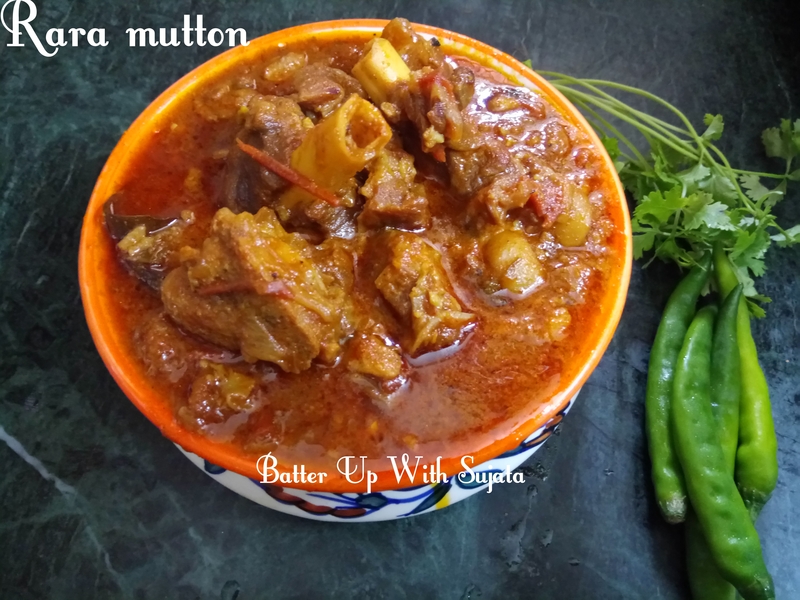 Clean and wash well the mutton pieces and minced mutton or keema separately. Marinate the mutton pieces with curd, salt, garlic paste, ginger paste, mustard oil, 1 teaspoon powdered roasted spices and 1/4 teaspoon nutmeg powder. Mix well and keep aside for 30 minutes. Crush the cardamom, cinnamon, cloves and mace. Heat oil or ghee or clarified butter in a pressure cooker. I have used mustard oil but if you like you can use ghee. Add bay leaf, crushed cardamom, cinnamon, cloves and mace. Add sliced onion and chopped green chillies. Add sugar. Fry until the onions becomes translucent. Add the marinated mutton pieces. Fry until the mutton changes it’s colour. Stir continuously to avoid sticking from downside. When the mutton starts to change it’s colour add the tomatoes, ginger paste and garlic paste. Saute until the tomatoes becomes mushy. Add salt, be careful we have already added 1 teaspoon salt while maintaining. Add cumin powder, coriander powder, turmeric powder, kashmiri red chilli powder, garam masala powder, dry roasted powdered spices and nutmeg powder. Saute until the tomatoes mixed well and dried up completely. Keep stirring. Now add the minced mutton or keema. Fry till oil leaves the sides. Add the remaining marinating spices and curd. Add water to make a thick gravy. Mix well. Add chopped coriander leaves. Close the pressure cooker with lid. Switch off the flame after 8 whistle or till the mutton pieces becomes tender. Open the pressure cooker and check if it is done. If not pressure cook again for 1-2 whistle. You can garnish with chopped coriander leaves and ginger julienne. Serve with hot steamed rice, roti or Indian flat bread, paratha, naan or puri.